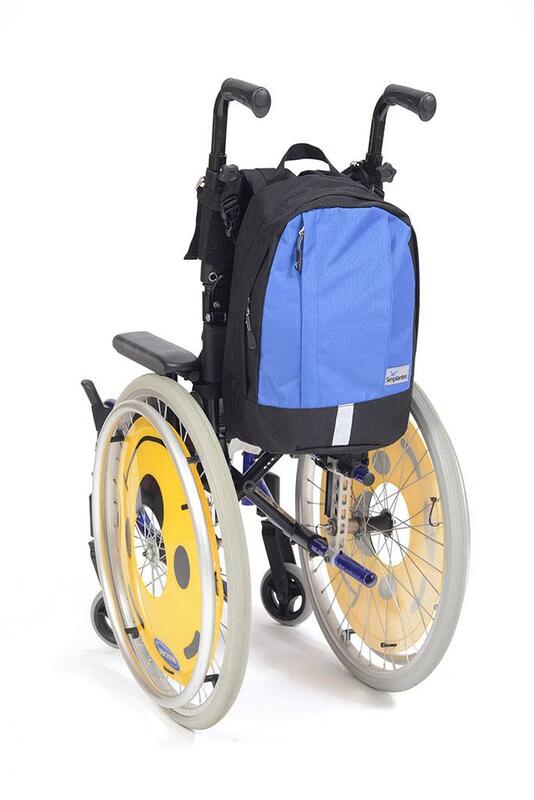 A compact and stylish rucksack for use on a wheelchair, scooter, children's chairs or those wanting a smaller bag. 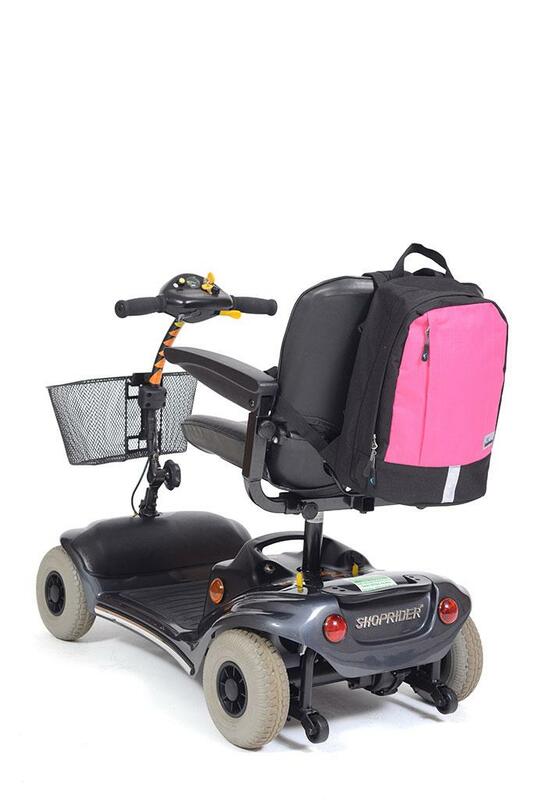 The shoulder straps secure the bag over the pushing handles of a wheelchair or though the headrest of a scooter. 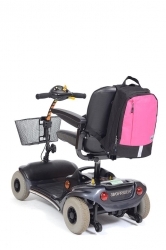 Alternatively the braid and clip system can be used on the pushing handles or back of a wheelchair and many powerchairs. It features a large compartment and smaller front pocket, padded shoulder straps with a mesh backing for breathability and two colour options.